SmartRisk® combines decades of experience and today’s best technology into one highly effective enterprise solution for fleet safety management. Backed by expert service professionals, Smart Risk’s industry-leading tools help you identify risk and inefficiency, improve fleet safety and performance, simplify administrative tasks and reduce related costs. Just as important, our integrated, online platform makes it easy to manage and report critical data whenever and however it works best for your needs. Partnering with leading GPS equipment supplier Geotab, our behavior based GPS helps you turn comprehensive data on engine diagnosis, speeding, harsh braking and more into timely corrective action. Based on documented safety violations, Smart Risk prescribes training courses from our library of more than 100 courses covering driver safety, DOT regulations, OSHA essentials and much more. Web-based MVR monitoring ensures that you know when a driver receives a new violation (daily, weekly or monthly depending on state). 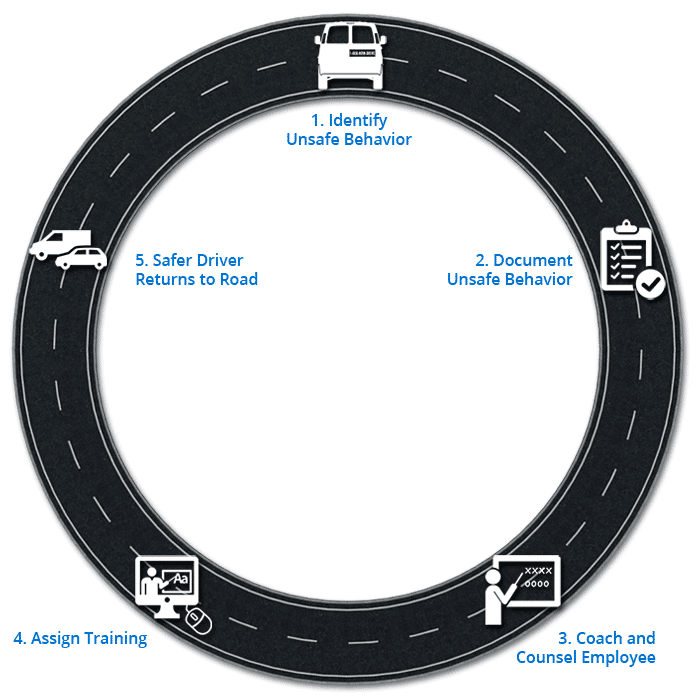 The supervisor-employee meeting plays a key role in mitigating company liability when a driver demonstrates unsafe driving behavior. Smart Risk helps fleet managers document this interaction. Our pioneering decal based driver monitoring has delivered exceptional ROI for more than 20 years and it’s even more valuable as a complementary component of Smart Risk.